As a dietary supplement, take 1 capsule once daily, preferably with a meal containing fat, because fucoxanthin absorption is enhanced in the presence of fatty acids. In order to maximise the fat-burning effect, supplementation with fucoxanthin is worth combining with green tea, caffeine, or pomegranate fruit, which stimulate metabolism and perfectly reinforce the action of fucoxanthin. Tests have demonstrated that a larger activity of fucoxanthin can be observed in the organism when it is combined with fatty acids, such as MCT, which have a positive effect on the absorption of the substance. 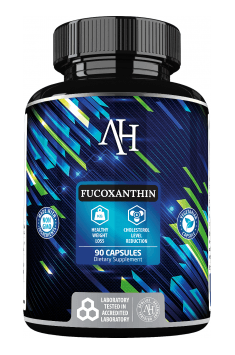 The effects of the action of fucoxanthin are only visible after some time, so regular supplementation is of utmost importance.